North Korea’s government delegation of 22 high officials, led by the sister of North Korean leader Kim Jong Un, arrived with all the fanfare of a celebrity entourage in South Korea on Friday. The arrival, which was broadcast live on South Korean TV, came ahead of Friday night’s opening ceremony for the Winter Olympics in Pyeongchang. The high-level delegation from North Korea flew over the western sea toward rival South Korea in a private plane owned by Kim Jong Un. The white jet landed on the runway of Incheon International Airport, and was shortly moved to a separate mooring, according to Korean news outlet KyungHyang Sinmun. 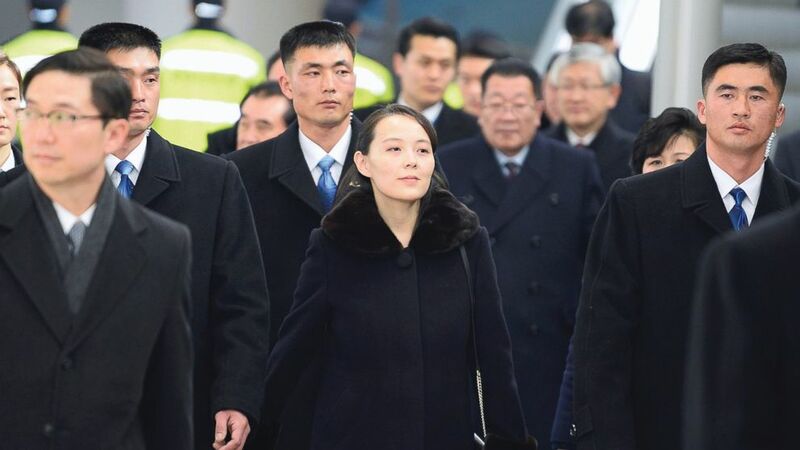 Kim Yo Jong, the younger sister of the supreme leader, walked out of the plane, officially becoming the first person from the Kim Dynasty to step on South Korean lands since the end of the Korean War in 1953. 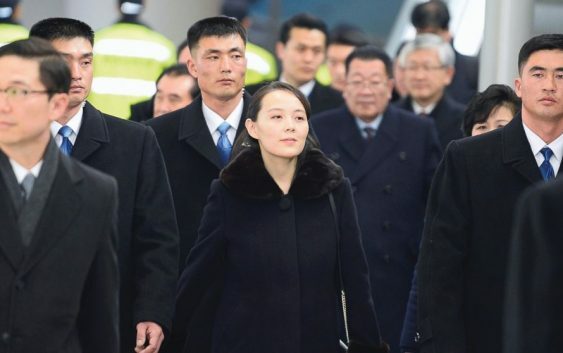 Broadcasters displayed the three-hour journey of North’s high-level delegation from their arrival in the airport to the Jinbu train station near Pyeongchang. After a conversation with high officials from the Unification Ministry, the delegation hopped on a train to go to Pyeongchang where the “peaceful Olympics” began. South Korean broadcaster YTN showed pictures of Kim Yo Jong smiling and talking to South’s unification minister. Kim Yo Jong, who is also known to be the propaganda director for the ruling Worker’s Party, was caught on camera smiling throughout her trip. Reportedly, delegates from the two Koreas exchanged pleasantries on the weather. Saturday, Kim Yo Jong is scheduled to have a luncheon with South Korean President Moon Jae-in. Details regarding the luncheon are not open to public yet. Speculation emerged within Seoul that additional rendezvous between Moon and the North’s Kim Yo Jong could be possible during the Olympics, according to South Korea’s Munhwa Broadcasting Corporation.